Will you be rocking the cherry print this summer? Hello Lilli, your cherry shirt looks so pretty and fun. Very summer indeed. Buaaaaah pianco no ho niente con le ciliege io!!! Ora mi devo procurare qualcosa! Le adoro queste stampe! Hi honey, I'm totally in love with your cherry printed shirt. I would love to see a full look with this top. 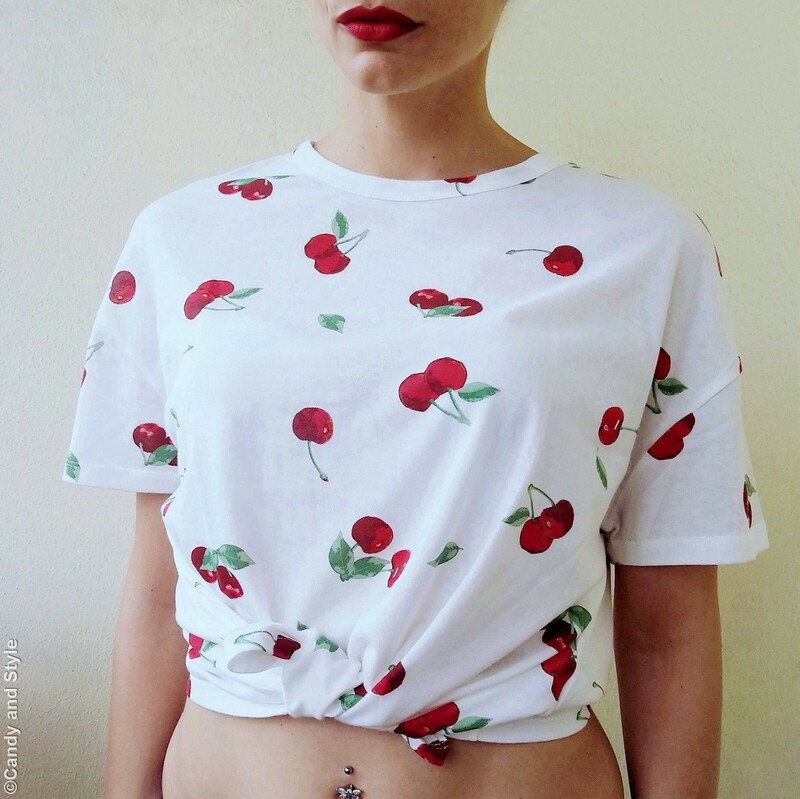 Cherries are one of my favorite motifs and this shirt is so fresh and fun! The styling options you have with it are endless to :) Happy new week dear Lilli! Oh yeah cherries are having a moment. I have a pleated skirt I got at J Crew that I love. This tee is super cute.